Do you have a hankering for a little extra alone time with your spouse? Kidnap them! Take them on a fun and adventurous date night—all while being handcuffed together! 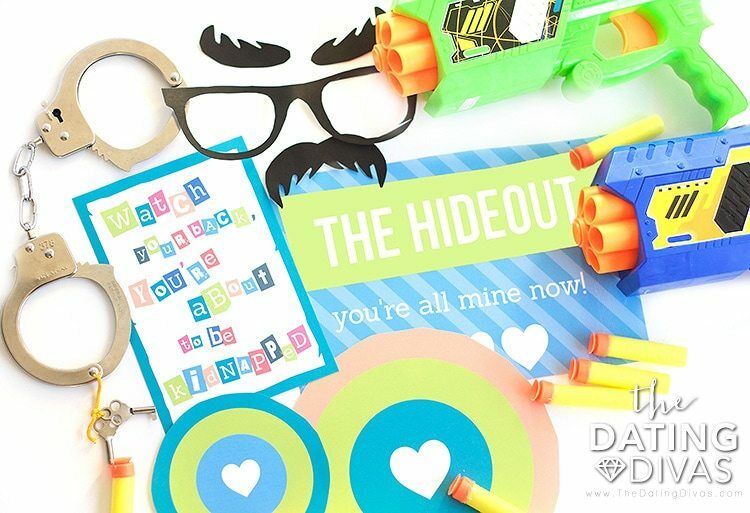 It will be a hilarious date night to remember, complete with a disguise, handcuffs, dinner, target practice, and a hideout for you to have them all to yourself. Sometimes you need to take matters into your own hands and hijack your sweetie for a fun date night with your hostage! 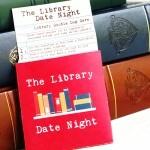 You are in for one of the funniest dates you have ever been on! 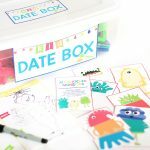 A huge thank you to Carisa at Messes to Memories, for creating super fun and silly printables that make this date night one of my favorite dates ever! Let’s get started! First, print and cut out the kidnapping warning note and slip it into your spouse’s pocket when they aren’t looking, or give it to them in an envelope with instructions to open it when you text them. Second, get them out of the house on a nearby errand. I mentioned I needed one little thing before our date and asked my husband to run to the grocery store for me. 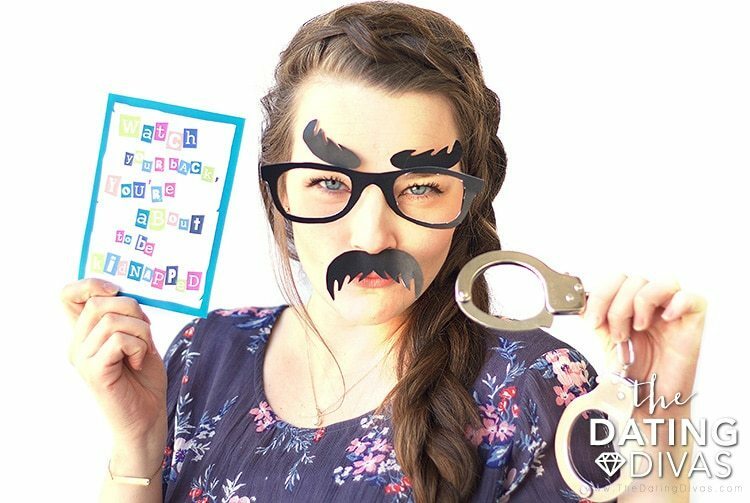 Next, quickly jump in your car, put on your disguise (we have included printable glasses, mustaches, and eyebrows to conceal your identity! ), and follow them—super stealthily, of course. Once he goes inside for the errand, run over to his car, hop inside and… WAIT. This is why the errand should be a quick one–we don’t want you falling asleep while on the lookout! Another idea is to show up to and kidnap your spouse from a location you know he will be at during a certain period of time–from work would be a fun surprise. You could also simply leave your honey the kidnapping note to find when he gets home. When your honey jumps in the car after completing their errand, they will probably be surprised to see you—if they even recognize you in your disguise ;). Give sweetie a big kiss and slap some cuffs on your love hostage! The catch? He’s gonna be handcuffed to you! 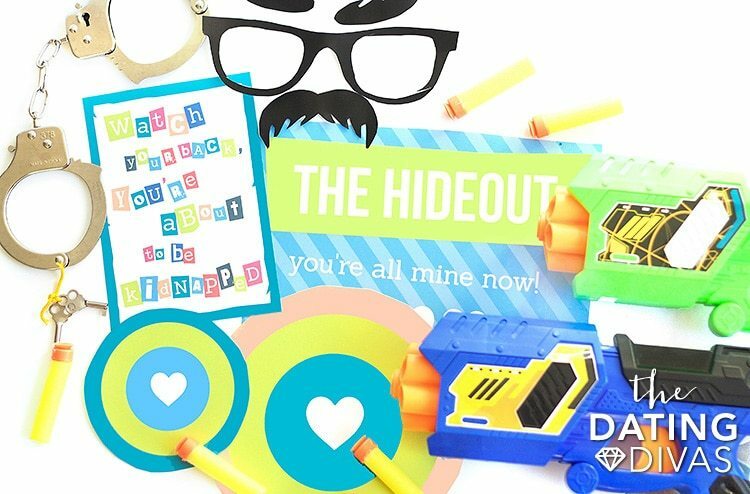 Let them know you’re taking them as your love hostage on a date beginning now! I noticed this was an amazing way to keep us holding hands! 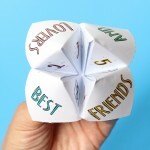 Remember how long you would hold hands before you were married?? I was surprised at how often I went to let go out of convenience, but of course, couldn’t—it’s an eye opener! 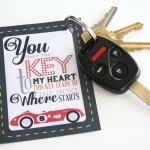 Next, without telling your sweetie the destination, order your spouse turn by turn down the road until you pull up to their favorite restaurant. Keep in mind you will be handcuffed for the entire date, so if you are embarrassed when people stare at you wondering what you are doing, you may want to get dinner to go 😉 OR you can easily have a picnic style lunch/dinner of your choice already packed in the car with you. Of course, after eating (or to eat your takeout dinner) you will need to take your victim back to your hideout. You can choose an empty field, put down the seats in your car, attach the Hideout printable, and fill the trunk with blankets and pillows. Or you can make your bedroom, or another part of your home your hideout. 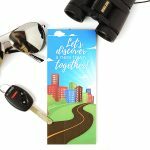 All you need is somewhere private where you spouse knows they are all yours now! 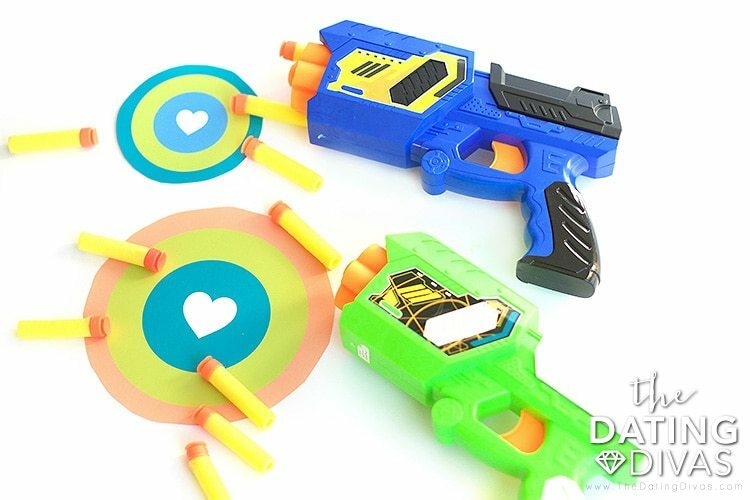 Have a little shooting competition with Nerf guns to see which one of you can hit the bulls-eye more times. 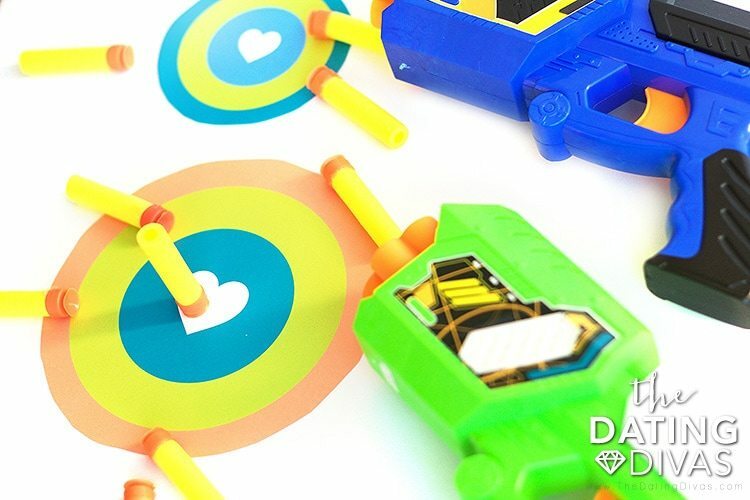 Any weapon that shoots will do—the Dollar Store sells a variety of little toy guns, or you can even shoot rubber bands off your hands like a gun. You will definitely have the advantage, your target is a liiiittle bit larger! Whether your spouse wins back their freedom or not, it’s time for some lovin’! After all, they have been through a kidnapping today, you whooped them at target practice, and so now they need a little TLC don’t you think? You can put the handcuffs back on if you’d like… I’ll leave the rest up to you! Do you love fun and silly dates with your sweetie, go take a look at our Comedy Date Night, or our Let's Make a Deal Date Night! I can’t like this enough!! SOOOOOO cute!